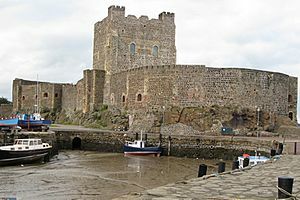 Carrickfergus Castle is Norman castle in Carrickfergus, County Antrim in Northern Ireland. It was built in 1177 by John de Courcy. 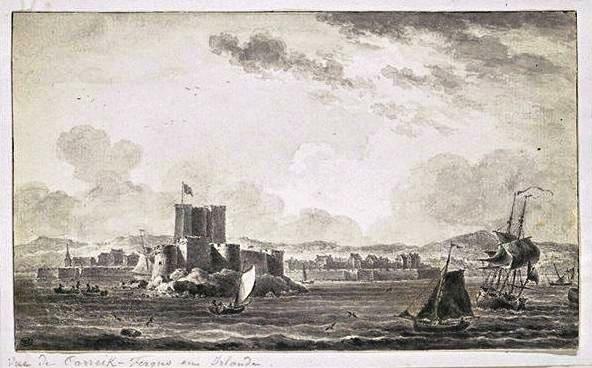 Carrickfergus Castle Facts for Kids. Kiddle Encyclopedia.